Traceroute is a computer network diagnostics tool. It’s used for displaying the route and delays of packets in an IP network. Traceroute is a command-line interface tool and available in many operation system, like Windows, MACOS, Linux, FreeBSD. Traceroute also uses ICMP (Internet Control Message Protocol) message, but unlike ping it identifies every router in a path taken by the packets. 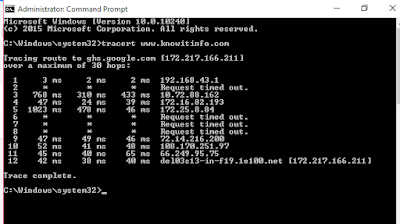 Traceroute is useful for troubleshoot network because it can help identify where exactly the problem is. 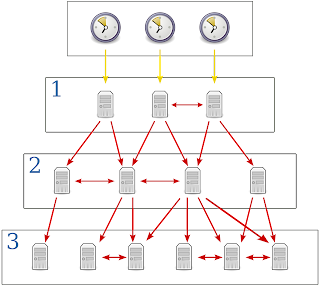 Traceroute sends a series of ICMP (Internet Control Message Protocol) echo request packets to destination. First series of message has a TTL (Time to Live) parameter set to 1, which means that the first router in a path will discard the packet and send an ICMP (Internet Control Message Protocol) Time Exceeded message. TTL (Time to Live) is then increased by one until the destination host is reached and an ICMP (Internet Control Message Protocol) echo reply message is received. Main host can then use received ICMP (Internet Control Message Protocol) message to identify all routers in a path. The TTL (Time to Live) vale also known as hop limit. 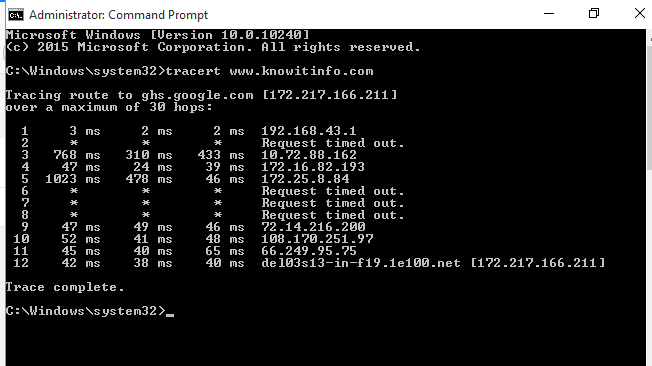 The traceroute command on windows is named Tracert. On UNIX like system and IOS traceroute it is invoked using the traceroute command. In this example you can see that the traceroute command has listed the IP address of the routers in the path. Traceroute command on UNIX works slightly different than the Windows version. 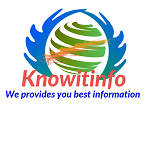 It uses UDP packets with a large destination port number (33434 to 33534) that is unlikely to be used by any application at the destination host. Like the Windows version of the command, traceroute on UNIX uses TTL (Time to Live) to get the IP addresses of the intermediary routers. When a destination host is reached, it replies with an ICMP (Internet Control Message Protocol) port unreachable message.